Indie JRPG DarkEnd — which proudly proclaims itself the first game to come out of Myanmar — has received a launch date of October 17 2014 for digital platforms. 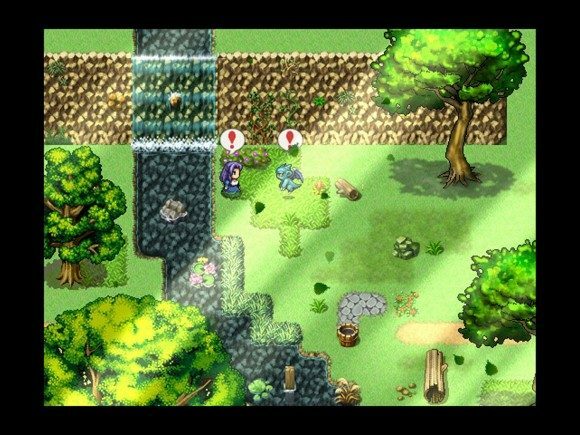 Is it real or is it RPG Maker? When you get down to brass tacks, there are few genres as easy for a small startup to dip their hands into as JRPGs. With the sheer number of resources available to build from, it’s a genre that everybody and their dog has tried to develop for. When a game tries to do something a little different within those typical JRPG constraints, though, that is when it is worthwhile to sit up and take notice. Myanmar-based Kodots Games are hoping that DarkEnd is a game that can pull off exactly that. DarkEnd manages to break out of the stock JRPG form with a selectable main character, supposedly non-linear gameplay, and even semi-randomized dungeons and side-quests. The developers themselves, as well as publishers Kiss Ltd., seem to prefer to compare the game to classic dungeon-crawlers rather than typical JRPGs, and looking at a lot of elements of the game’s feature list, that makes sense. If DarkEnd can live up to its own hype it will have a lot going for it to help set it apart from the rest of the 2D JRPG-styled market, which for a developer working on their first commercial title is an excellent thing. DarkEnd will be launching on PC via digital distribution platforms such as Steam on October 17, 2014, with a suggested retail price of $14.99 / £10.99 / 12,99€, though Kiss Ltd. does say to be on the lookout for special launch discounts. For fans of traditional 2D JRPGs the last couple of years have been a great time to be a PC gamer as the indie scene has exploded with releases that not only demonstrate how much life the traditional trappings of the genre still have, but how much creativity can still be had within those trappings as well. With a smattering of creative concepts and treatments thrown under the hood of its JRPG shell, DarkEnd looks to be one worth taking a look at when it releases later this month.